The rear element of a lens has some peripheral haziness on the front surface (inaccessible when the lens is fully assembled). 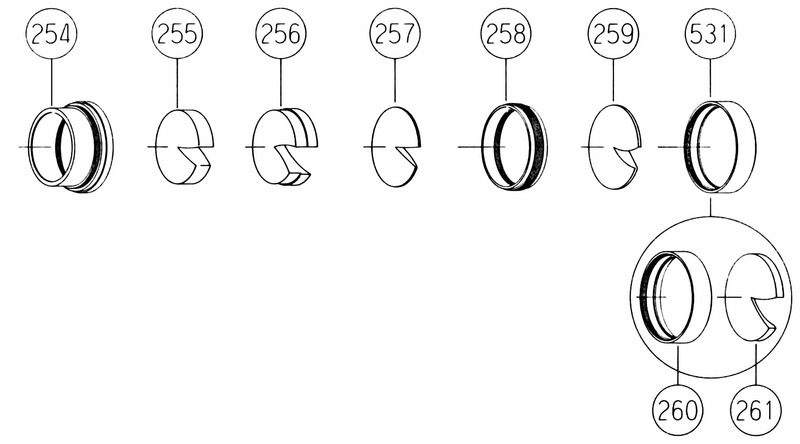 Based on lens diagrams, I believe it is between the two rear-most elements, but I cannot figure out how to separate them from the housing. What is the likely cause of the haziness? Since the haziness is peripheral and on the rear element, what effect is this likely to have on images? If I cannot separate the elements (because they are stuck in the housing), can anything be done to clear it up? 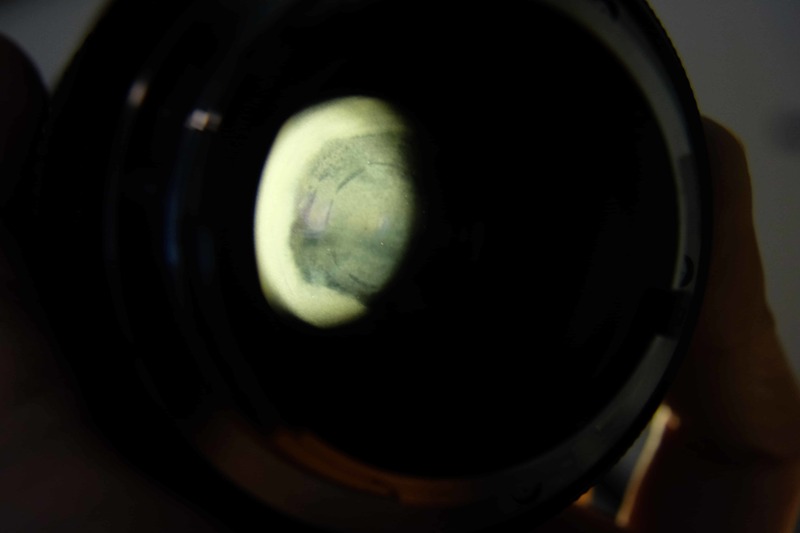 After disassembling the lens and heating the rear lens group, the haziness seemed to shift, or lighten, to cover only the peripheral portion of the lens. It also didn't look quite as bad as before. Pretty sure it's not mold. There were no signs of mold elsewhere in the lens. Doubt balsam separation because the lens diagram indicates that the elements are separate (259, 261). It also does not look like pictures of balsam separation that I have seen, which have a fine crazing pattern. My current hypothesis is out-gassing of lubricants, though I cannot confirm it. The lens also suffers other related effects. The aperture was oily and sticky. Other elements had a greasy film, though there wasn't such haziness elsewhere in the lens. According to online discussions of this and similar lenses, a good copy of this lens (Kiron 28-105/3.2-4.5) should be sharper than a Vivitar Series-1 28-105/2.8-3.8 (Cosina), and similar to a Vivitar Series-1 28-90/2.8-3.5 (Komine). Despite the peripheral haziness of the rear element, this Kiron lens appears to follow the reported pattern. Normally, lenses with a narrower magnification ratio are expected to be sharper than those with wider magnification ratios. 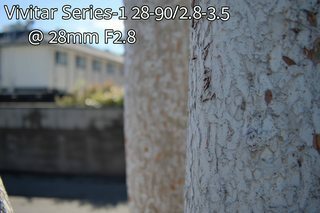 This lens appears to be a touch softer than a Kiron 28-210/4-5.6, which was tested at 90mm instead of 28mm because of the minimum focusing distance. 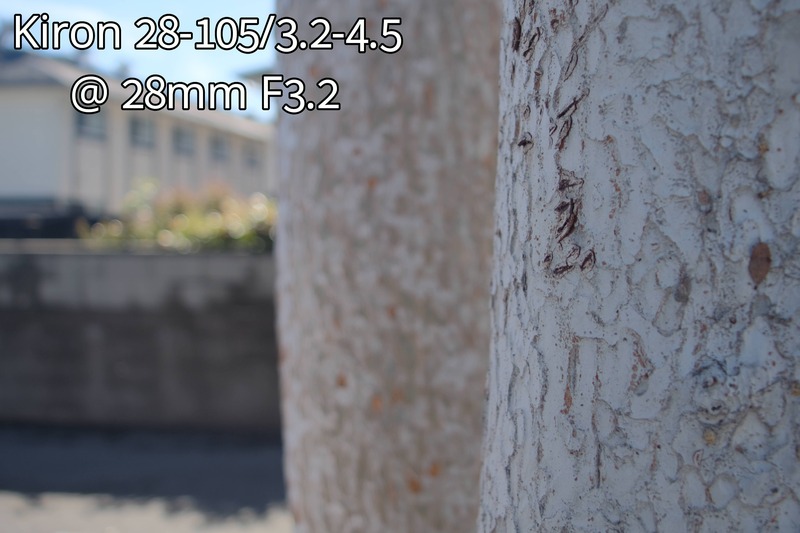 Compared with the aforementioned lenses, color with auto white balance does not appear to be significantly affected. If it were a significant concern, custom white balance could be used. Contrast appears to be slightly reduced. 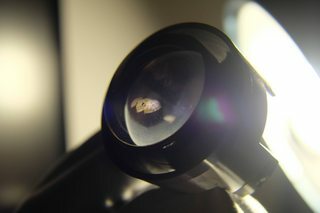 Compared with the aforementioned lenses, this lens appears to be more susceptible to veiling flare when used indoors and pointed toward large windows. However, all of the comparison lenses had some difficulty with this environment. Bokeh from this lens may be a touch softer than the Komine lens, which is what is expected from lenses with apodization filters. The effect is subtle. Not the answer you're looking for? Browse other questions tagged lens repair cleaning or ask your own question. What to do about mold/fungus in a camera lens? Can I repair minor abrasions on my Canon 14mm F2.8 USM front lens element? How to disassemble a lens assembly?